Our company has achieved widespread recognition in offering Dyed Woven Fabric to the clients. Offered range is woven by experts using the best quality cotton in tandem with the latest fashion trends with the aid of latest techniques. This product is used for designing curtains, bed covers and other home furnishing items. Being the well-distinguished companies in the market, we are into offering Dyed Woven Fabric. We are instrumental in offering Dyed Woven Fabric to our clients. These fabrics are elegantly weaved under the brilliant craftsmen' vigilance who use excellent quality yarns and pioneered weaving machines at par with the latest fashion trends. These are available in the market at leading price. 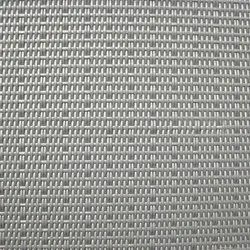 We regularly manufacture and hold Ready Stock of 3 lac meter approximately on Woven Yarn Dyed Fabric in 2/60x40 (64x64) approx 90/95 GSM weight, width 43 with and without Metallic yarn; this ready fabric can be used to make Ladies Blouses. The customer can choose from the available designs for shorter garment deliveries. We are looking for Bulk queries only. 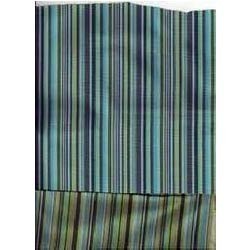 To hold expertise in this domain, we are providing a broad range of yarn dyed woven fabrics. In order to fabricate these fabrics, we use the finest quality raw material and modern tools and equipment. Our offered fabrics are widely demanded in the garment industry for various applications.